Place three piles of matches on a table, one with 11 matches, the second with 7, and the third with 6. You are to move matches so that each pile holds 8 matches. You may add to any pile only as many matches as it already contains. All the matches must come from one other pile. 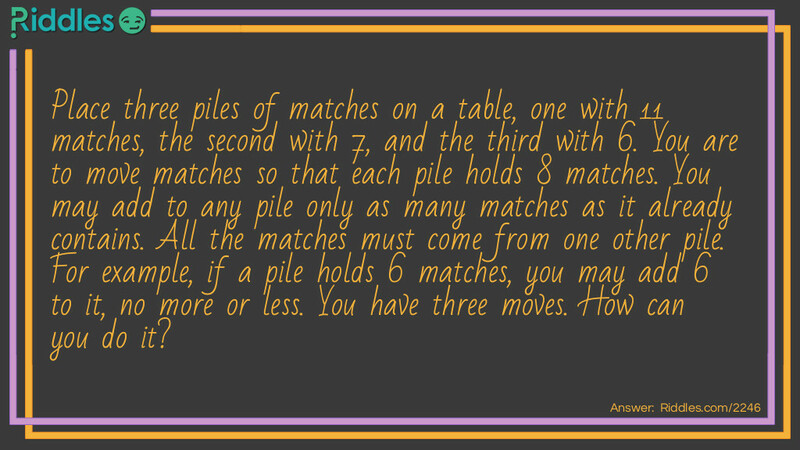 For example, if a pile holds 6 matches, you may add 6 to it, no more or less. Three Moves Riddle Meme with riddle and answer page link.